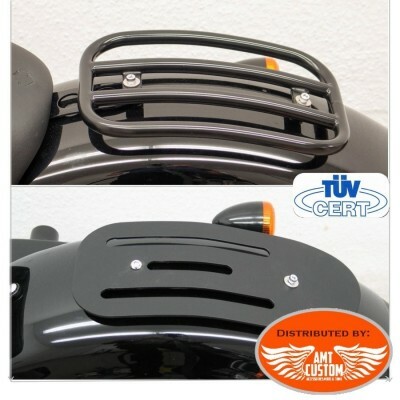 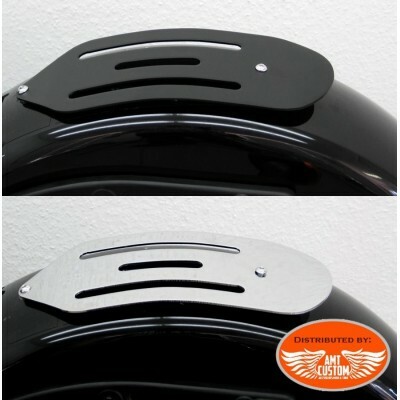 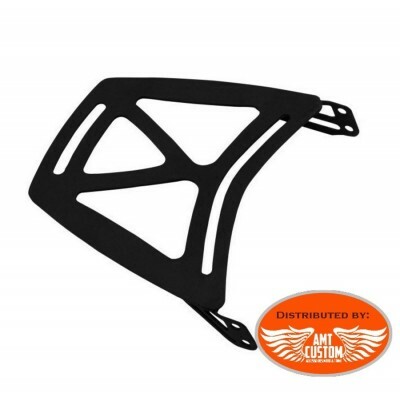 Black Rearrack for Kawasaki Vulcan S650. 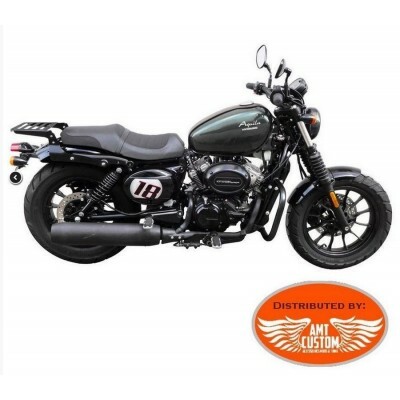 - Fit Kawasaki Vulcan S650 from 2015 to today ... - See "More info"
Black Luggage Rack Top Case fit Hyosung AQUILA GV125S BOBBER - See " MORE info" tab. 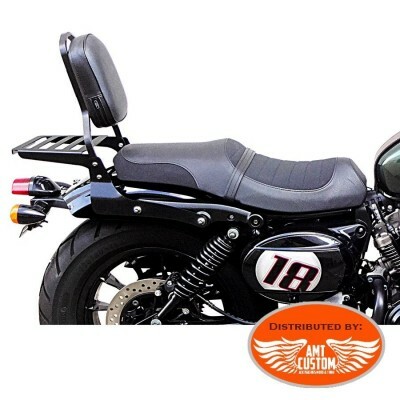 Low Black Sissy Bar fit Hyosung AQUILA GV125S BOBBER - Too models: * With Luggage Rack * Without Luggage Rack - See " MORE info" tab. 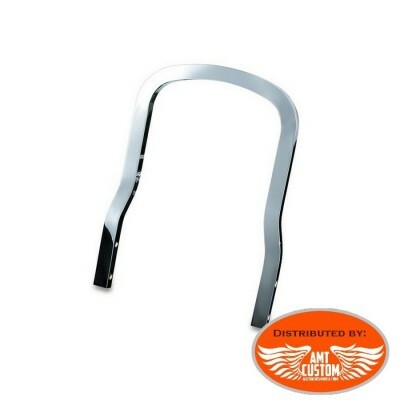 Black Sissy Bar for Harley Davidson. 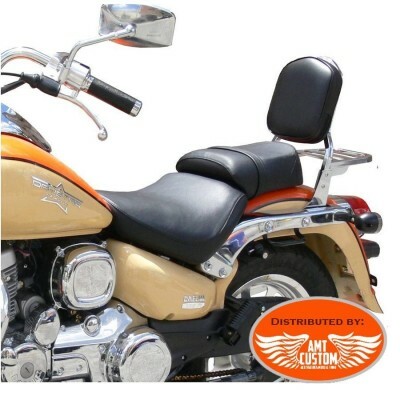 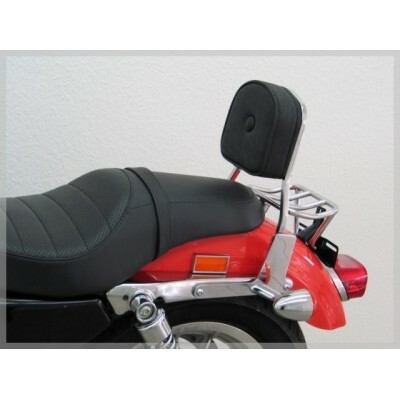 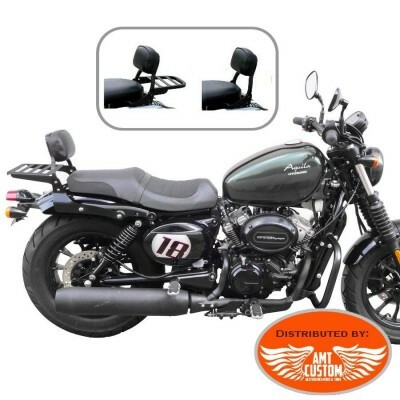 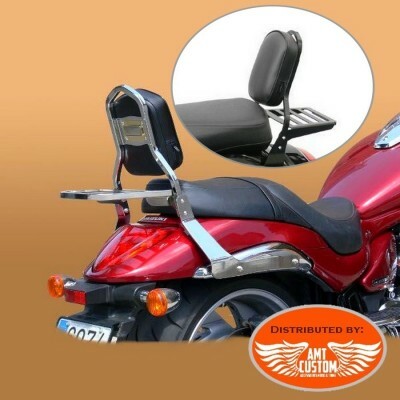 - XL883 Sportster XL1200 and from 1986 to today - Large passenger comfort cushion. 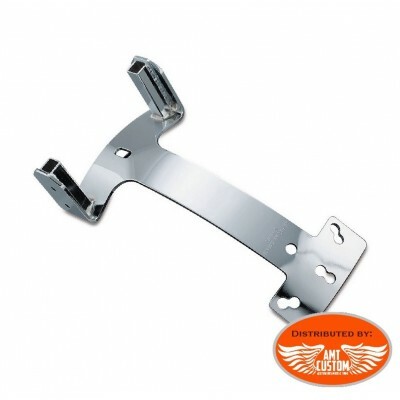 - Mounting plate to keep the original indicators. 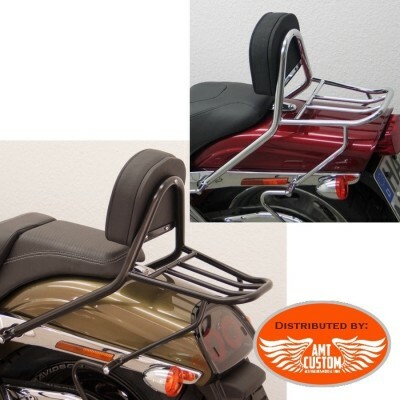 - Foldable luggage rack Optional ref: 10 / 525-0031B See tab "MORE INFO " and "ACCESSORIES"
Chrome Sissy Bar & Luggage fit Daelim VT125, 125 Daystar & 250 Daystar - With Luggage Rack - See " MORE info" tab. 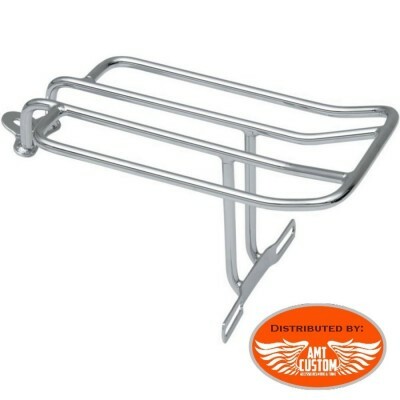 Sissy Bar &Luggage Rack Yamaha Virago XV125 - Optional Luggage Rack - See " MORE info" tab. 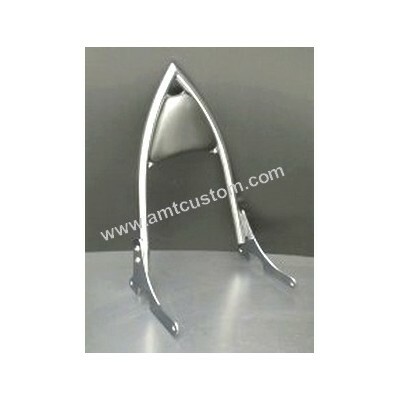 Passenger Sissy Bar for Harley Chrome " Design"
Chrome Sissy Bar Low for Triumph - For Thunderbird 1600A from 2009 to 2014 - Foldable luggage rack Optional See tab "MORE INFO " and "ACCESSORIES"
Chrome Sissy Bar Low for Yamaha Bolt, Midnight Star, V-Star, Custom et Stryker - All Sissy Bar come with side bracket and matching hardware. 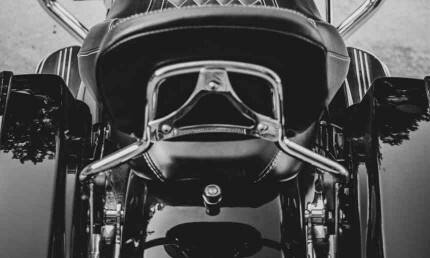 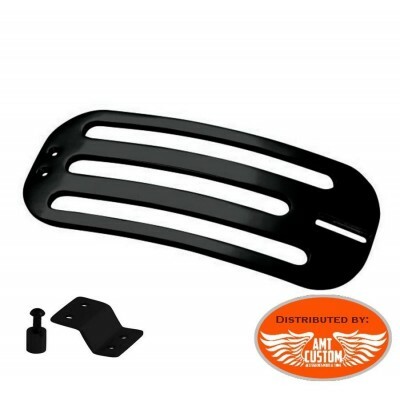 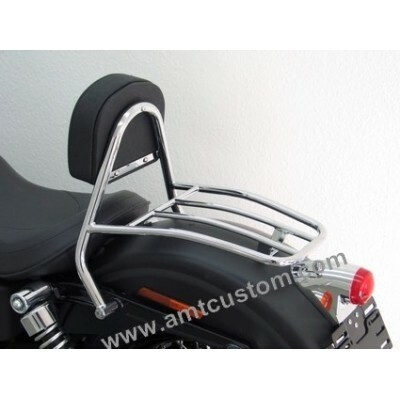 - Choose the sissy bar according to the model and the year of your motorcycles - Luggage rack Optional See tab "MORE INFO " and "ACCESSORIES"
Black Sissy Bar for Softail Harley Davidson - Passenger cushion. 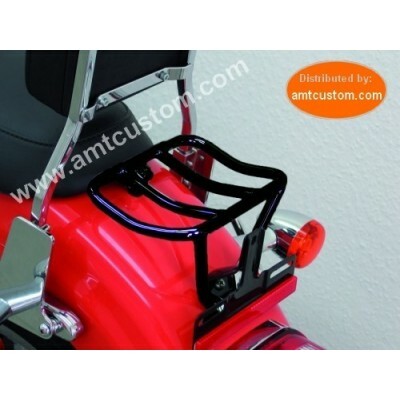 - Mounting plate to keep the original indicators. 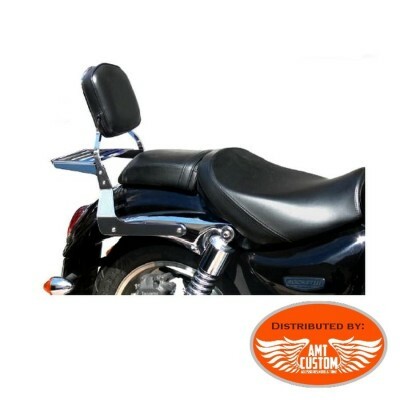 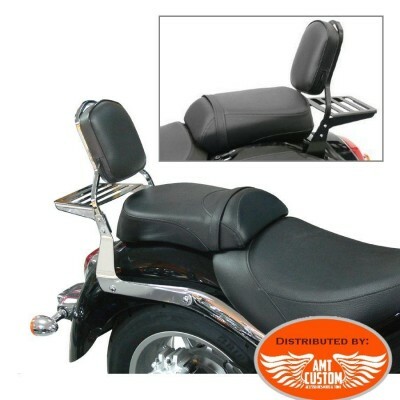 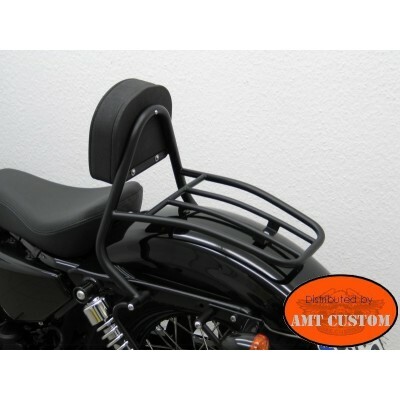 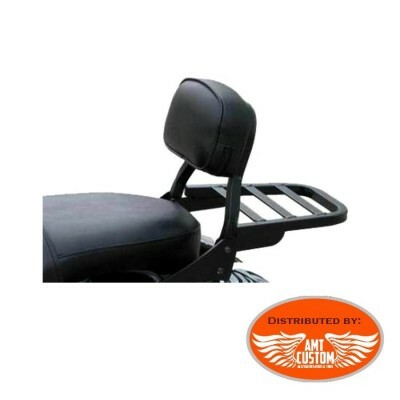 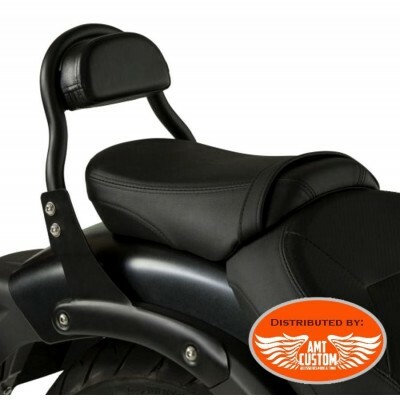 - Foldable luggage rack Optional ref: 10 / 525-0031B See tab "MORE INFO " and "ACCESSORIES"
Black Sissy Bar Low for Yamaha Bolt, Midnight Star, V-Star, Custom et Stryker - All Sissy Bar come with side bracket and matching hardware. 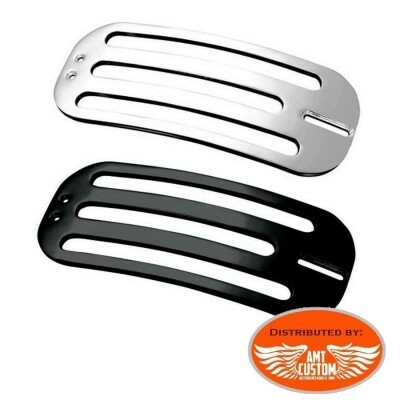 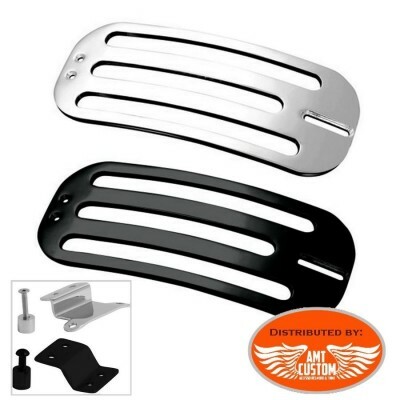 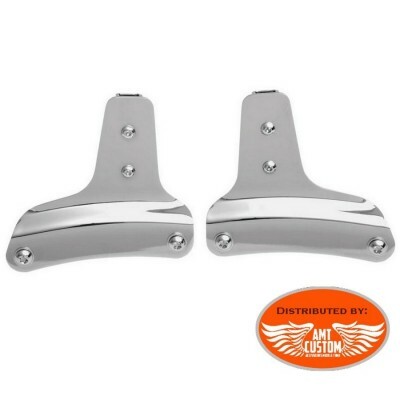 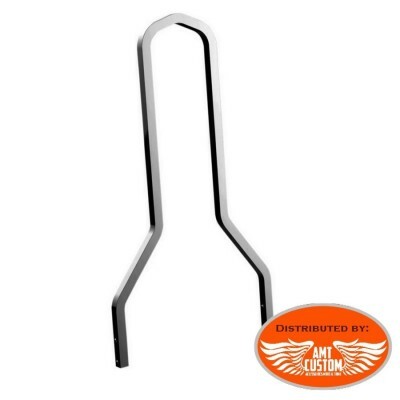 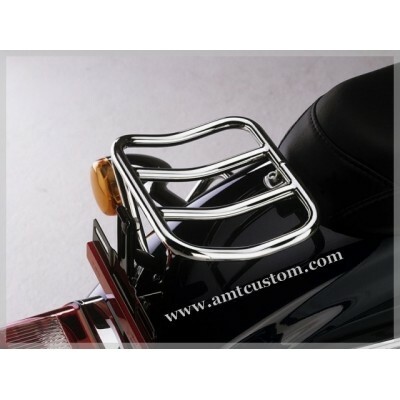 - Choose the sissy bar according to the model and the year of your motorcycles - Luggage rack Optional See tab "MORE INFO " and "ACCESSORIES"
Chrome Sissy Bar Comfort for Softail Harley Davidson - All Sissy Bar come with side bracket and matching hardware. 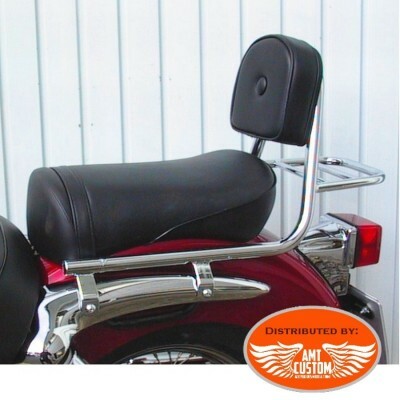 - Choose the sissy bar according to the model and the year of your Softail - Luggage rack Optional See tab "MORE INFO " and "ACCESSORIES"
Black Sissy Bar comfort for Yamaha Bolt, Midnight Star, V-Star, Custom et Stryker - All Sissy Bar come with side bracket and matching hardware. 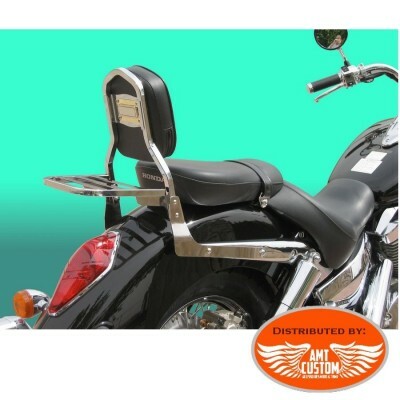 - Choose the sissy bar according to the model and the year of your motorcycles - Luggage rack Optional See tab "MORE INFO " and "ACCESSORIES"
Black Sissy Bar Low for Harley Davidson Sportster - XL883 Sportster XL1200 and from 1991 to today - Mounting plate to keep the original indicators. 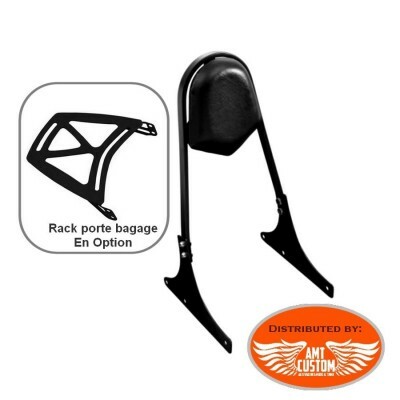 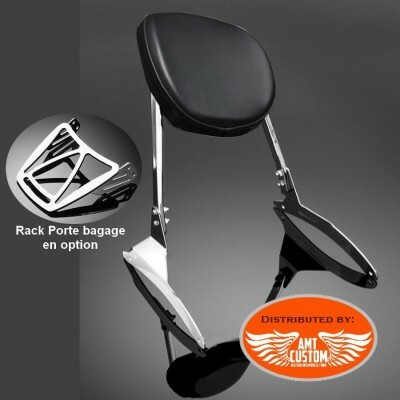 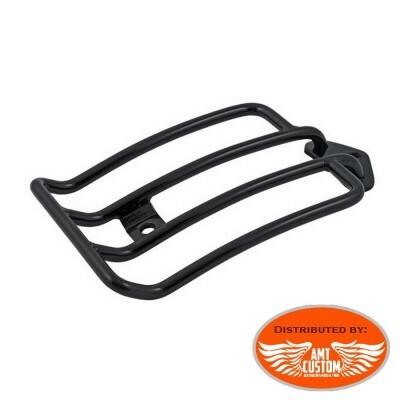 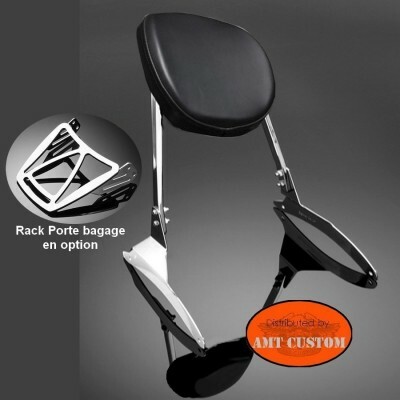 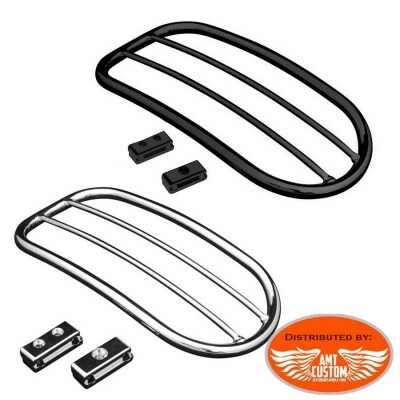 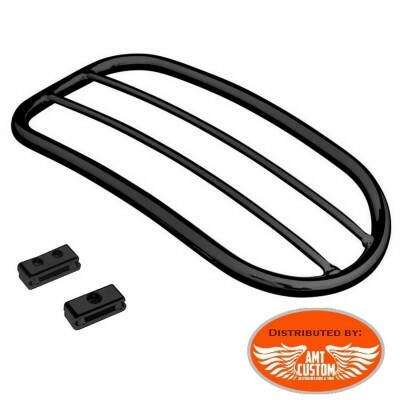 - Foldable luggage rack Optional See tab "MORE INFO " and "ACCESSORIES"
Black Sissy Bar for Softail Harley Davidson - Large passenger comfort cushion. 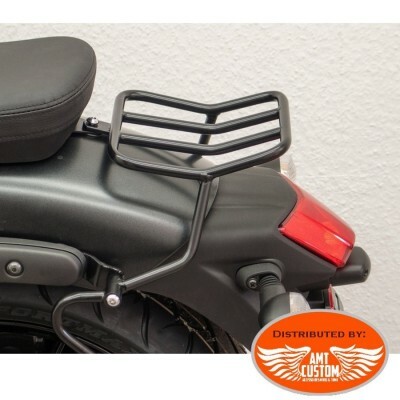 - Mounting plate to keep the original indicators. 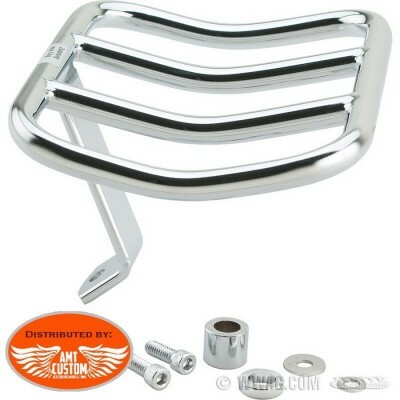 - Foldable luggage rack Optional ref: 10 / 525-0031B See tab "MORE INFO " and "ACCESSORIES"
Chrome Sissy Bar for Harley Davidson. 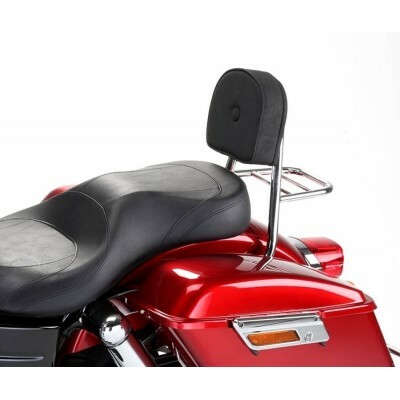 - XL883 Sportster XL1200 and from 1986 to today - Large passenger comfort cushion. 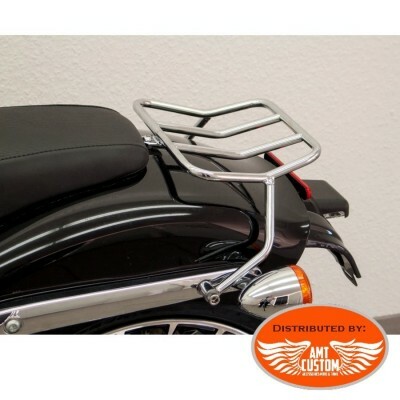 - Mounting plate to keep the original indicators. 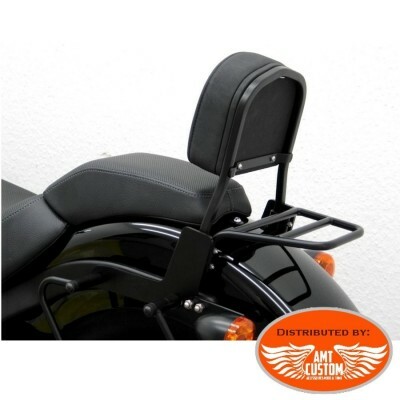 - Foldable luggage rack Optional. 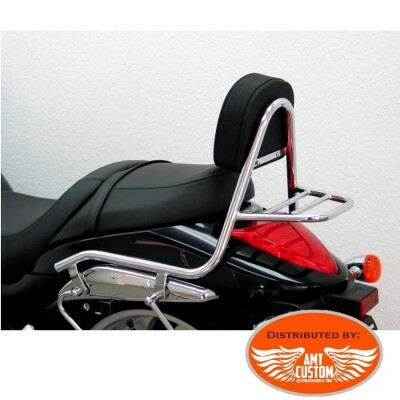 See tab "MORE INFO " and "ACCESSORIES"
Black Sissy Bar Low for Kawasaki VN et EN. 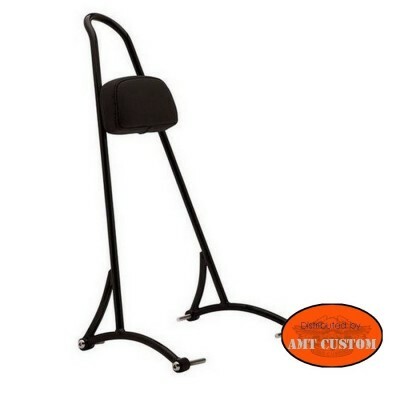 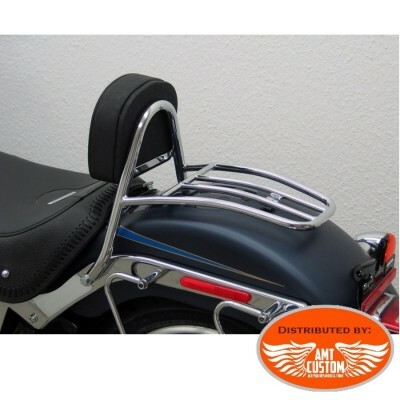 - All Sissy Bar come with side bracket and matching hardware. 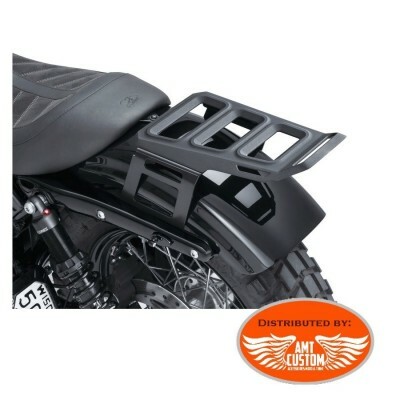 - Choose the sissy bar according to the model and the year of your motorcycles - Luggage rack Optional See tab "MORE INFO " and "ACCESSORIES"
Black Sissy Bar &Luggage fit Hyosung AQUILA GV125S BOBBER - With Luggage Rack - See " MORE info" tab. 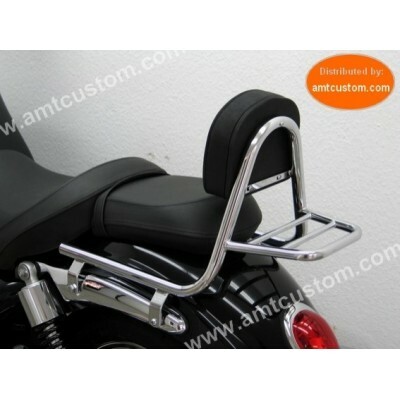 Chrome Sissy Bar comfort for Yamaha Bolt, Midnight Star, V-Star, Custom et Stryker - All Sissy Bar come with side bracket and matching hardware. 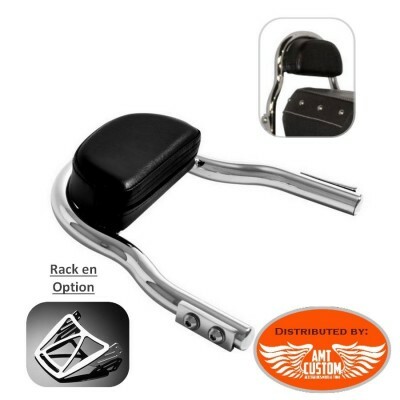 - Choose the sissy bar according to the model and the year of your motorcycles - Luggage rack Optional See tab "MORE INFO " and "ACCESSORIES"
Sissy Bar Noir comfort for Harley Davidson Dyna from 2006 to 2017 - Choose the syssy bar according to the model and year of your Dyna. 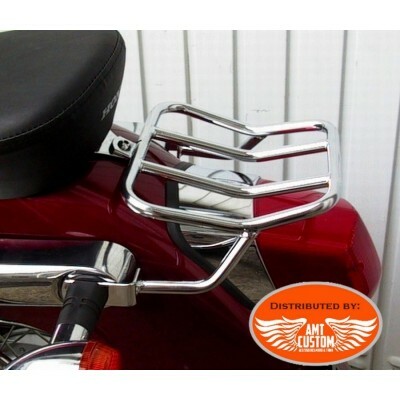 - Sissy bar passenger comfort Complete. 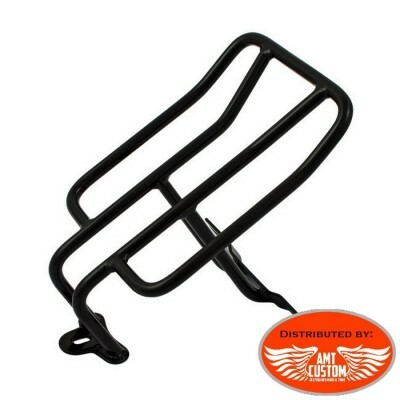 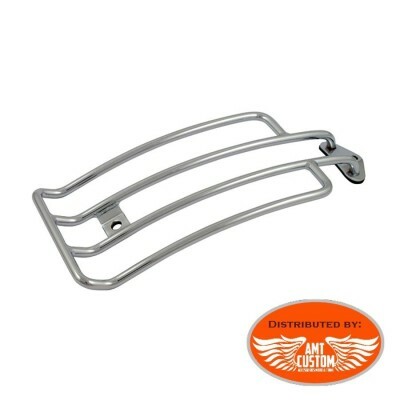 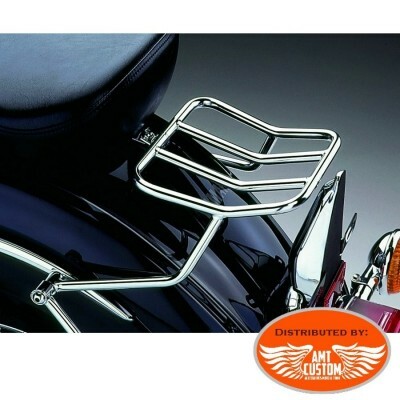 - Foldable luggage rack in option ref: 10 / 525-002B See " MORE info" tab and "ACCESSORIES"
Chrome Sissy Bar Low for Harley Davidson Sportster - XL883 Sportster XL1200 and from 1991 to today - Mounting plate to keep the original indicators. 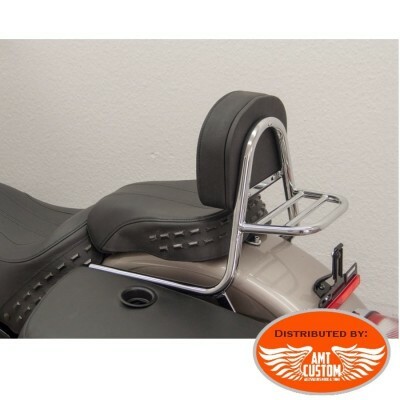 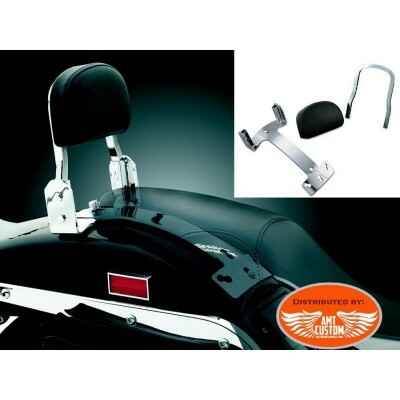 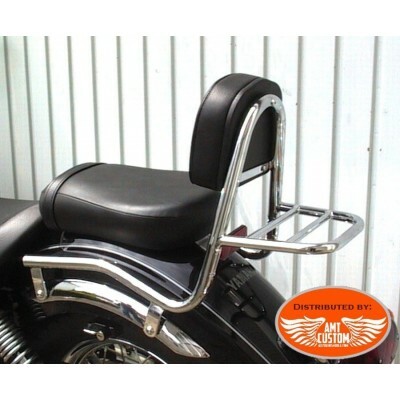 - Foldable luggage rack Optional See tab "MORE INFO " and "ACCESSORIES"
Sissy Bar Chrome Comfort Cushion for Harley Davidson Dyna from 2006 to Present - Choose the sissy bar according to the model and the year of your Dyna. 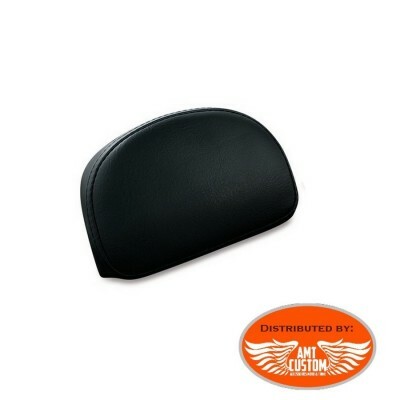 - Large passenger comfort cushion. 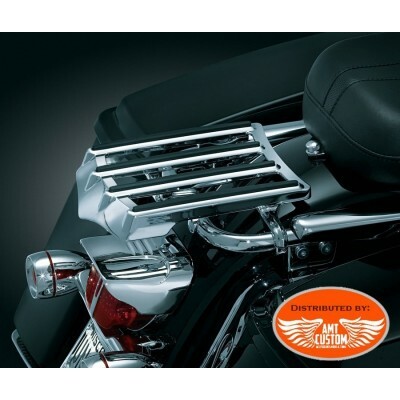 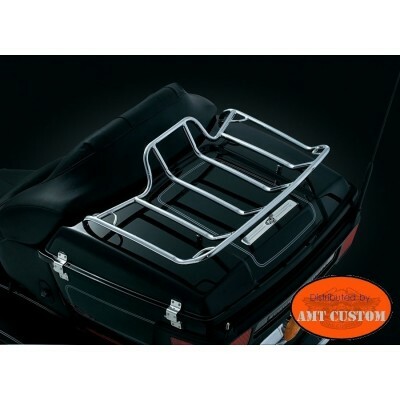 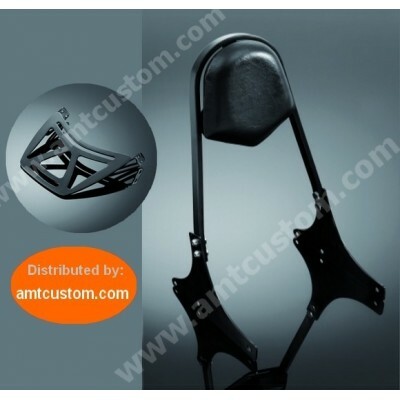 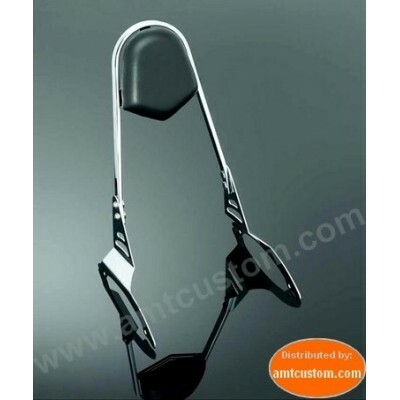 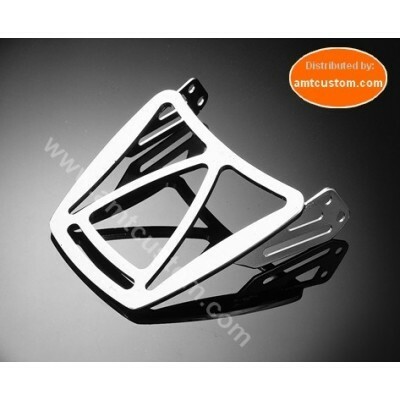 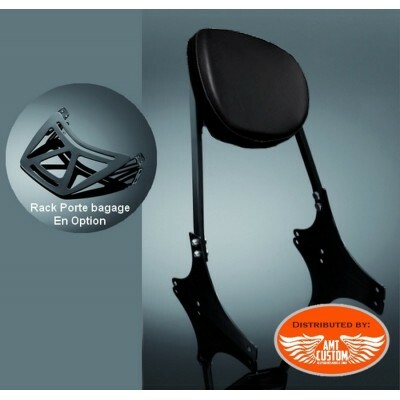 - Foldable luggage rack in option ref: 10 / 525-002 See "MORE INFO" tab and "ACCESSORIES"
Sissy Bar Chrome Comfort Cushion for Kawasaki Motorcycles - Choose the sissy bar according to the model and the year of your motorcycles - Large passenger comfort cushion. 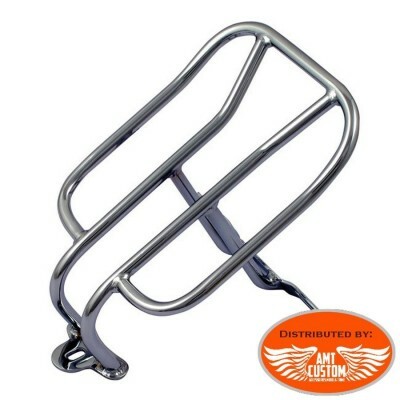 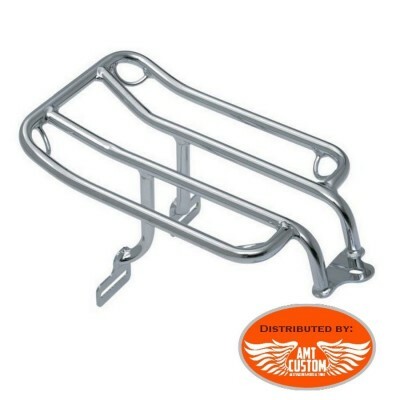 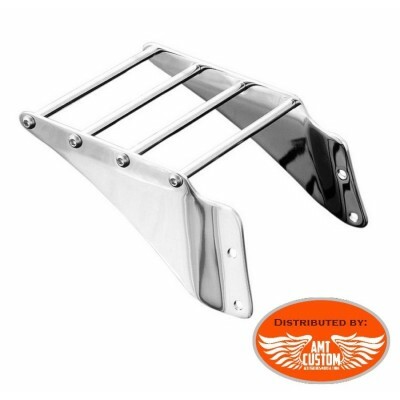 - Foldable luggage rack in option ref: 10/525-0031 See "MORE INFO" tab and "ACCESSORIES"
Chrome Sissy Bar Low for Softail Harley Davidson - All Sissy Bar come with side bracket and matching hardware. 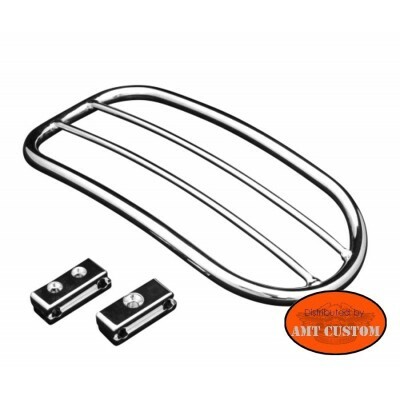 - Choose the sissy bar according to the model and the year of your Softail - Luggage rack Optional See tab "MORE INFO " and "ACCESSORIES"
Chrome Sissy Bar Low for Dyna Harley Davidson from 2006 to today Choose the sissy bar according to the model and the year of your Dyna. 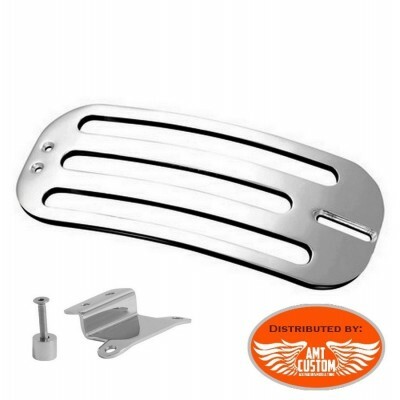 - For All Dyna Except model FLD Switchback - Foldable luggage rack Optional See tab "MORE INFO " and "ACCESSORIES"
Black Sissy Bar Low for Softail Harley Davidson - All Sissy Bar come with side bracket and matching hardware. 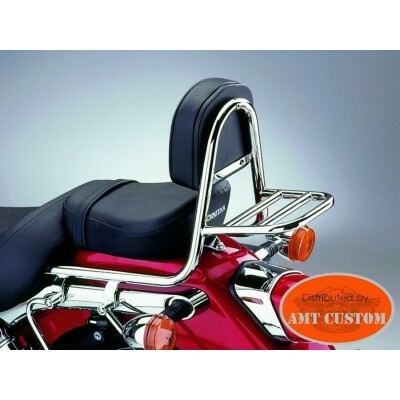 - Choose the sissy bar according to the model and the year of your Softail - Luggage rack Optional See tab "MORE INFO " and "ACCESSORIES"
Black Sissy Bar Low for Dyna Harley Davidson from 2006 to 2017 - For All Dyna Except model FLD Switchback - Foldable luggage rack Optional See tab "MORE INFO " and "ACCESSORIES"
Passenger Sissy Bar for Harley Chrome.